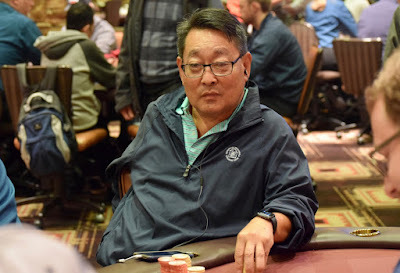 Sasha Sabbaghian is down to 700,000 after having to get away on the river when Warren Kashiwagi moved all in on a 9-9-x-x-x board. Kashiwagi is up to 2.8 million, Robert Pacleb at 1.8 million. 3-handed play continues in the $100k guaranteed Launch.